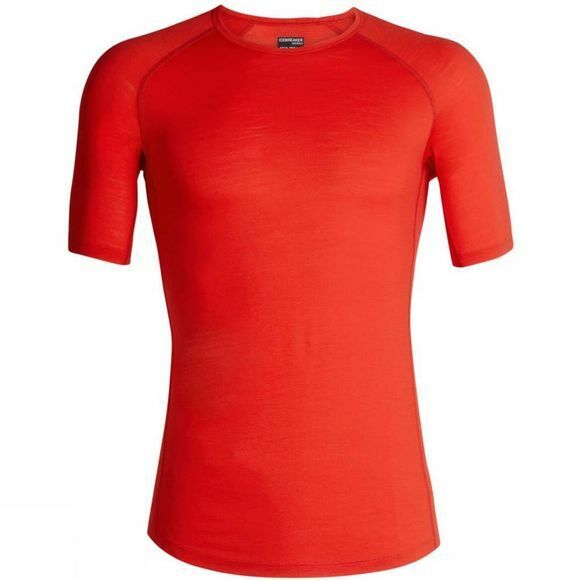 The Mens 150 Zone SS Crewe Top from Icebreaker are our lightest-weight short sleeve base layer tops, which act as an ideal second skin to keep you comfortable throughout your physical pursuits. Made with breathable and insulating 150gm corespun merino, the Zone Short Sleeve Crewe is perfect for year-round adventures. Whether you are running off-road, biking or just training around the city, it has got just enough LYCRA to maximise flexibility while its next-to-skin comfort makes it a must have layering piece. Strategically placed merino mesh offers thermo-regulation, while flatlock seams prevent chafing during vigorous movement.